You’d be forgiven if you don’t remember or have never heard of the Wii Vitality Sensor. That’s because the product never actually hit the market — and now it looks like it never will. 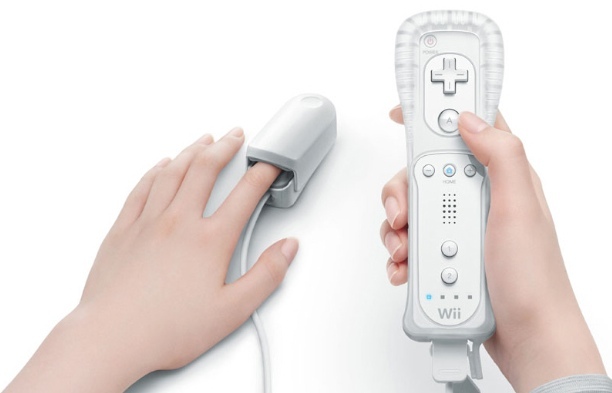 First introduced by Nintendo at E3 2009, the Wii Vitality Sensor was an accessory that you placed on your fingertip, so it could measure your pulse and show you how tense or relaxed you were playing a game. Nintendo’s idea was that by giving gamers this information, players could actively try to calm themselves down when things became too stressful. There’s been little heard or said about the device since then, leading many people to believe it was pretty much dead, and Nintendo President Satoru Iwata confirmed as much last week. During the Q&A portion of Nintendo’s 73rd annual shareholder meeting, held on June 27 (the official transcript was released today), an attendee asked about the status of the Vitality Sensor, and Iwata said the company wasn’t going to release it because of unreliable results and the lack of consumer applications. In that same question, the investor expressed concern that this type of thing would happen again. Iwata said that it’s always difficult for the company to decide when to announce a product. Introduce it too early and people will hype it up with all these expectations; announce it too late, and fans will complain that they can’t buy the product because the news came so suddenly. “I hope you can understand that there is a possibility that we will postpone the launch of a new product or put it in a pending state if we determine that it does not meet the quality standards that we require,” he said. But it’s not just hardware that’s the problem for Nintendo. The company’s most recent big launch, the Wii U, has struggled to gain traction with consumers because the games simply aren’t there. The company promoted a few new titles, such as Super Mario, Mario Kart, Smash Bros., Donkey Kong, Pikmin and Legend of Zelda series at E3 this year, but it’s going to face some stiff competition when Microsoft’s Xbox One and Sony’s PlayStation 4 hit the store shelves later this year.